This updated handbook contains the Convention text and the most-up-to-date versions of all eight protocols to the Convention in their most recent amended version. 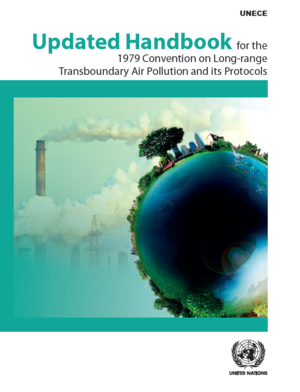 The Convention on Long-range Transboundary Air Pollution was the first international legally binding instrument to deal with problems of air pollution on a broad regional basis. It was signed in 1979 and entered into force in 1983. It has since been extended by eight specific protocols. It has substantially contributed to the development of international environmental law and has created the essential framework for controlling and reducing the damage to human health and the environment caused by transboundary air pollution. It is a successful example of what can be achieved through intergovernmental cooperation. Download this publication in English, French, Russian.